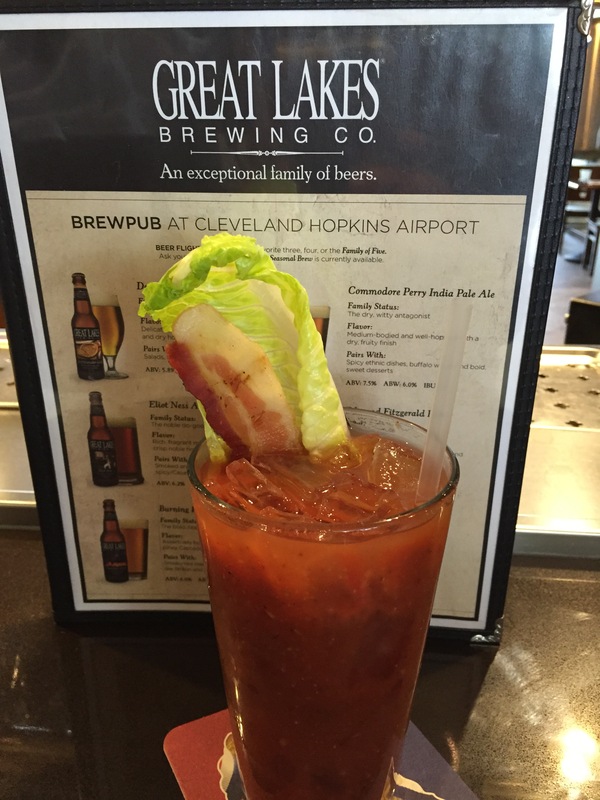 Cleveland: Great Lakes Brewing Co.
On a quick trip to Cleveland, we weren’t able to scout out any particular Bloody Marys, but we did find ourselves in the airport with time to grab a drink. So, we stopped at Great Lakes Brewing Co., where we were pleasantly surprised to find a few options to choose from. 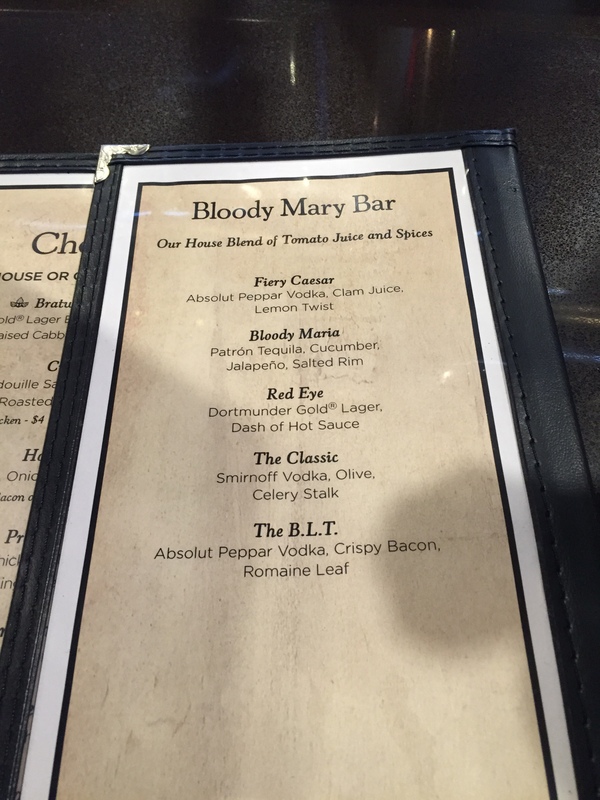 This was a pretty average bloody mary by our standards, even with the bacon. We wish we had tried some of their beer instead.